Verifico — How do I create a new service? Support Home Knowledge Base Knowledge Base for Experts How do I create a new service? To do business through the Verifico Marketplace and to invoice your clients you need to list your services. 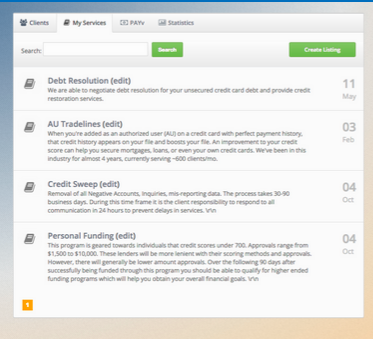 You can create new services by going to the My Services section of your dashboard. From there you will choose 'Create Listing,' and fill in the details of your service. If this is a brand new service you will need to contact your Account Manager so that it can be verified as quickly as possible. How do I know my expert is trustworthy?